Joel S. Migdal revisits the approach U.S. officials have adopted toward the Middle East since World War II, which paid scant attention to tectonic shifts in the region. After the war, the United States did not restrict its strategic model to the Middle East. Beginning with Harry S. Truman, American presidents applied a uniform strategy rooted in the country's Cold War experience in Europe to regions across the globe, designed to project America into nearly every corner of the world while limiting costs and overreach. The approach was simple: find a local power that could play Great Britain's role in Europe after the war, sharing the burden of exercising power, and establish a security alliance along the lines of NATO. Yet regional changes following the creation of Israel, the Free Officers Coup in Egypt, the rise of Arab nationalism from 1948 to 1952, and, later, the Iranian Revolution and the Egypt-Israel peace treaty in 1979 complicated this project. Migdal shows how insufficient attention to these key transformations led to a series of missteps and misconceptions in the twentieth century. 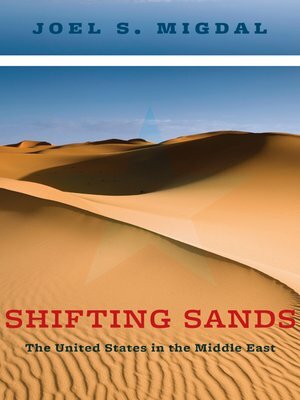 With the Arab uprisings of 2009 through 2011 prompting another major shift, Migdal sees an opportunity for the United States to deploy a new, more workable strategy, and he concludes with a plan for gaining a stable foothold in the region.